Euphoric, that’s what I am feeling right now. I will tell you why. Since the time Angelina Tearoom opened in Dubai Mall, I have always passed by it and I had made plans of visiting it and somehow it never materialised. 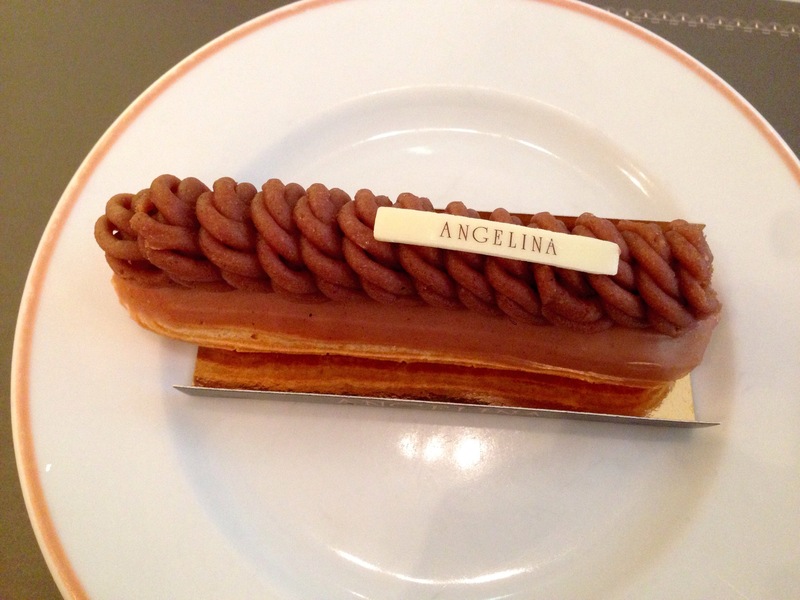 Alas, from that time Angelina has been on my mind and on the top of my restaurant/café wish list. When I finally reached there, I was so happy that I wanted to scream with joy. I know, I sound crazy. Well, that’s just me. It was a Monday morning and my friend Gillian and me made an impromptu plan to meet up for brunch. I immediately suggested Angelina Tearoom. It is very easy to locate the cafe. It is in Fashion Avenue, Ground Level at Dubai Mall. Now I know, you will be having second thoughts about the Cafe as it is in a mall. Let me put your thoughts to rest. The ambience is ultra chic, classy and elegant. It is very French. Not even for a moment you will feel that you are in a mall. 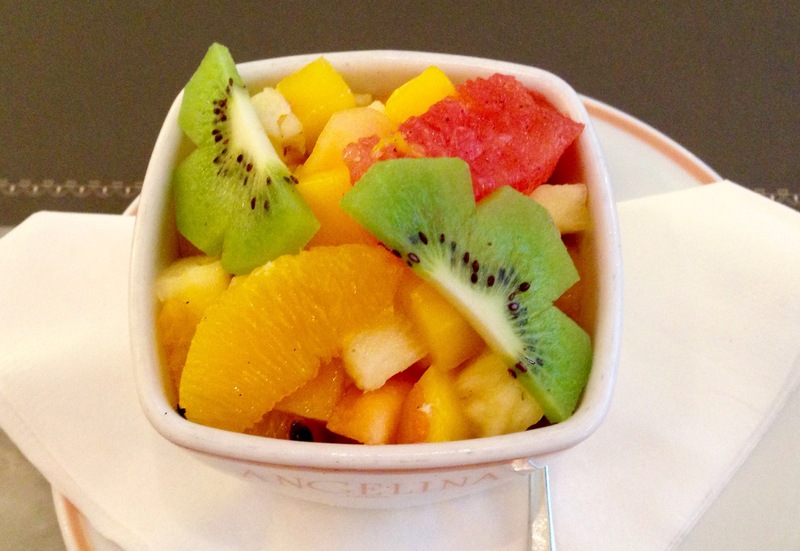 You will be straightaway transported to a luxurious Parisian Cafe in a chic and fashionable neighbourhood of Paris. 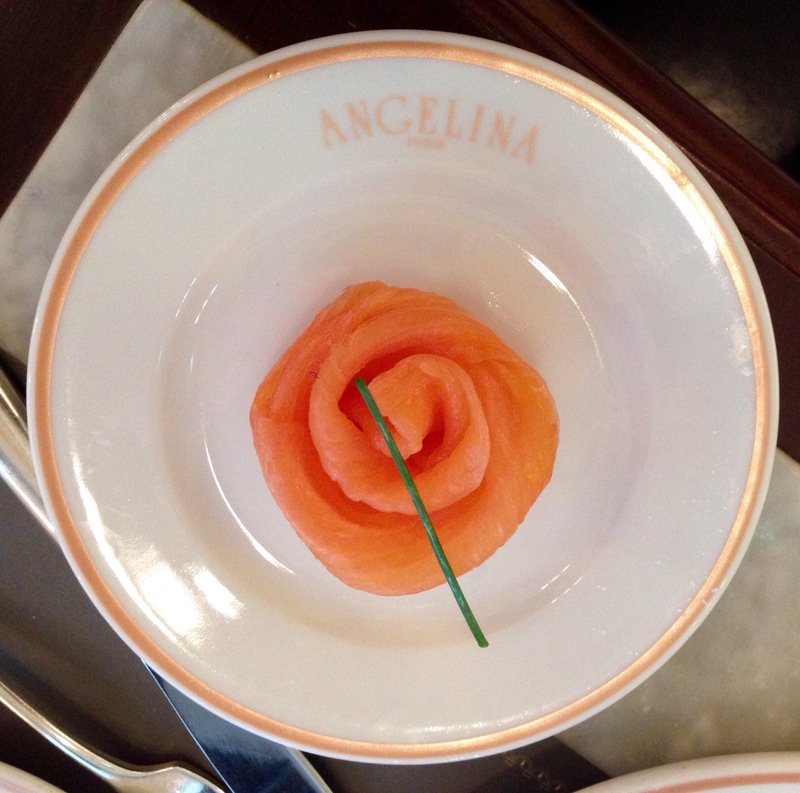 Angelina Tearoom is quite well known in France. I would love to give one nugget of information. It was Coco Chanel’s favorite cafe. The interiors will charm you and I was bowled over by the elegance of the place. The service is impeccable. They surely know how to take care of their customers. We were really impressed with the service. They have replicated the same Parisian menu in Dubai. They have an A La Carte menu consisting of Salads, side dishes and cheese, starters, main course and Pastries as well as breakfast menu, brunch menu and snack menu. The breakfast and brunch can be shared between two people. As we went there around 11:30, we opted for the brunch and as suggested by our server, we shared it between the two of us. The brunch consists of tea/coffee, freshly squeezed juices, bread rolls with butter, honey and jam. 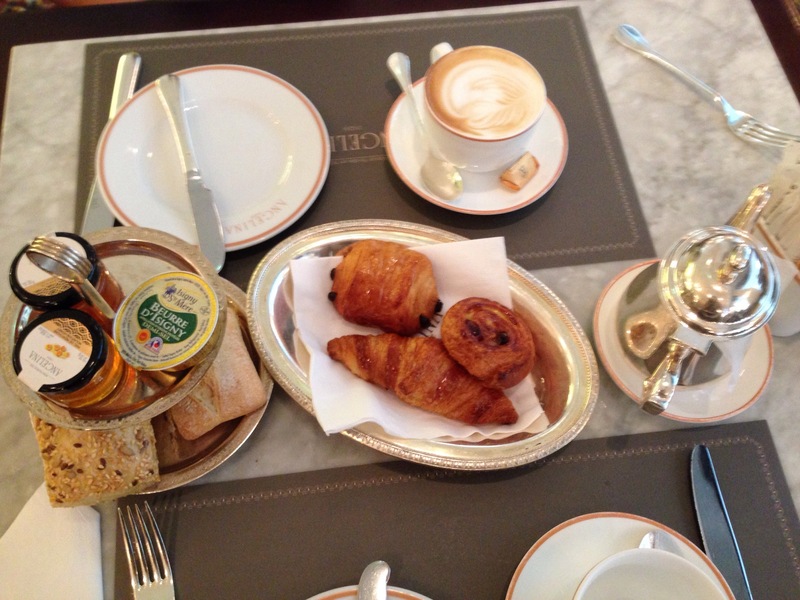 They also serve mini Viennoiseries like croissant, chocolate filled pastry and raisins pastry. The brunch menu also offers Darphin potatoes, small omelette, crispy vegetables and smoked Salmon, pineapple carpaccio and French toast. What a spread! We started off with our drinks. Gillian had coffee and I had tea. We also had the bread rolls and mini Viennoiseries along with our drinks. It was a great start to our brunch. Coffee and tea brewed to perfection. Bread rolls and mini Viennoiseries were fresh and tasty. Next came the Darphin potatoes, mini omelette, crispy vegetables and salmon. My friend Gillian had the salmon and she absolutely loved it. We loved the Darphin potatoes, it is a crispy potato cake similar to hash browns. We had asked them to add grated cheese and some veggies to our omelette. It was delicious. The French toast was flavored with vanilla and cinnamon. It was very yummy and we devoured it in no time. The pineapple carpaccio with lime and mango tartar was also good. We are two women who love desserts. Though we were full, we still ordered two pastries. Gillian had Eclair Mont Blanc. It is Choux Pastry covered with chestnut cream vermicelli and light chestnut mousse. I had a small lemon tart. Both the pastries were amazing. I would love to try all their pastries. 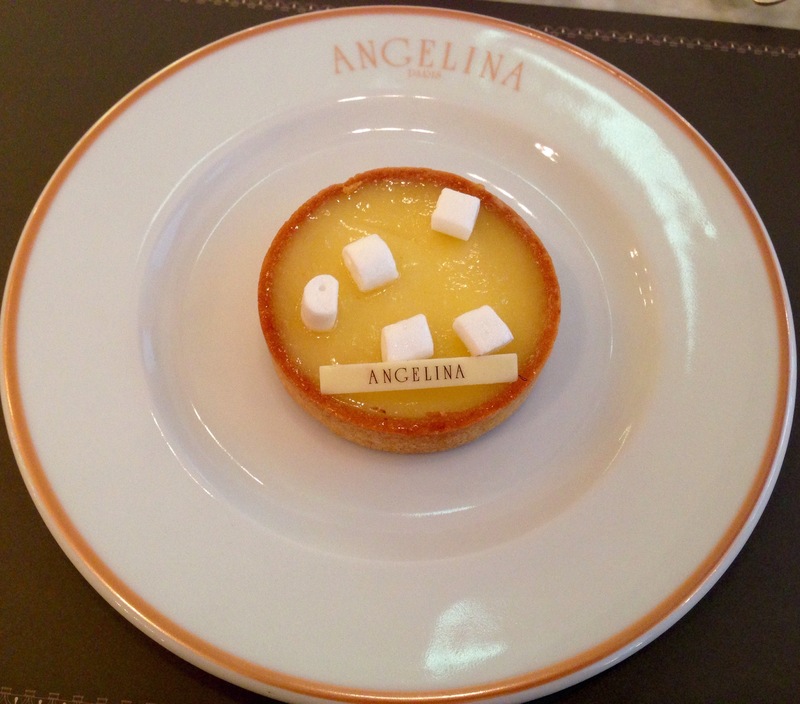 Angelina Tearoom is a dessert paradise. I have to revisit them to appease my dessert cravings. We couldn’t try their signature hot chocolate as we opted for coffee and tea. But then again, we will come back soon to try the hot chocolate and pastries. 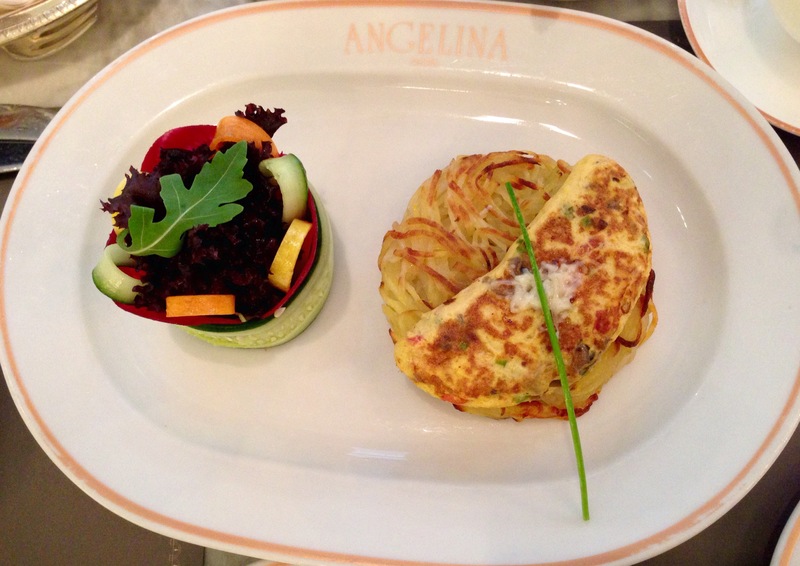 Angelina Tearoom also retails cakes, biscuits, hot chocolate, Jams, honey and elegant tea sets. It is a good idea to pick up these things for ourselves or to gift it to others. 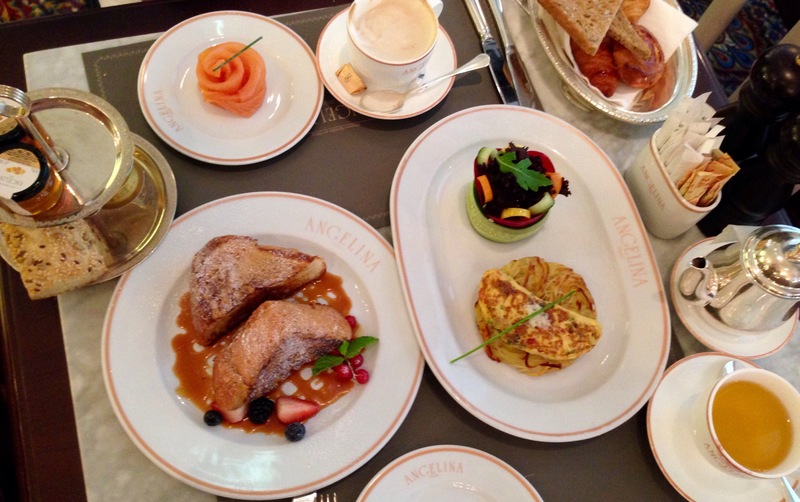 Angelina Tearoom is an excellent place to visit for breakfast, brunch, lunch or dinner or just to enjoy a cup of hot beverage with their decadent pastries. It is a place you want to visit again and again.